Wow already 50 days on the road. That went past fast. Well you know what they say about time when you are having fun. The weather though was not so fun these days. Another moody and wet day today. At least it’s not raining too heavily and not too cold. 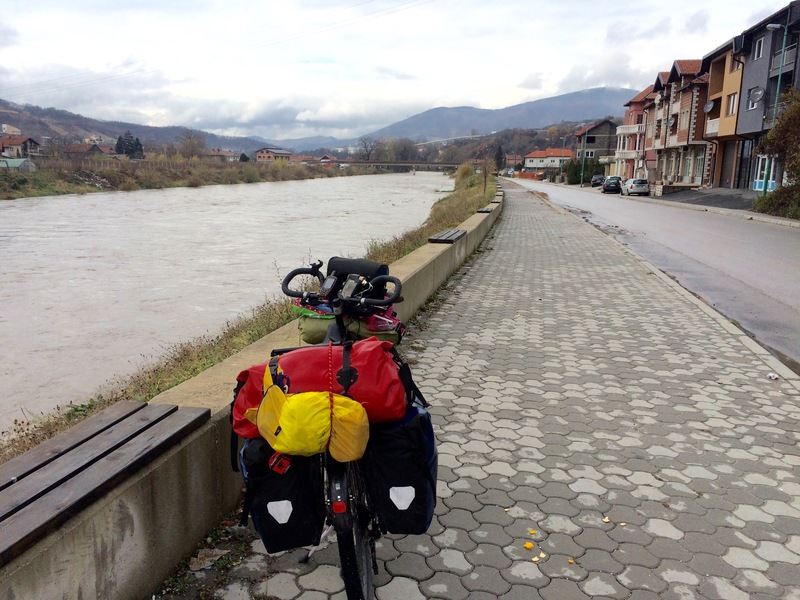 After a quick breakfast and a strong cup of coffee, I checked out of the hostel and pushed off towards Zenica. 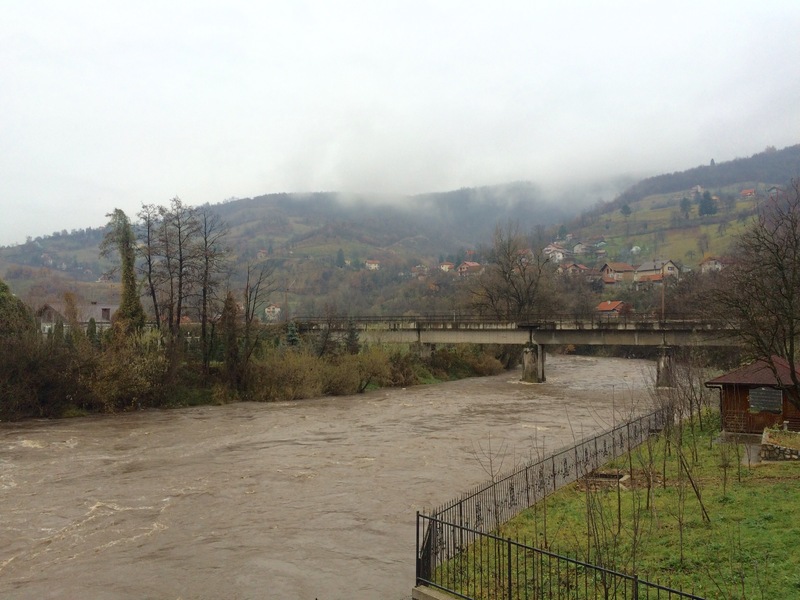 Why Zenica? Well it’s not really a tourist spot and there is really nothing special there. 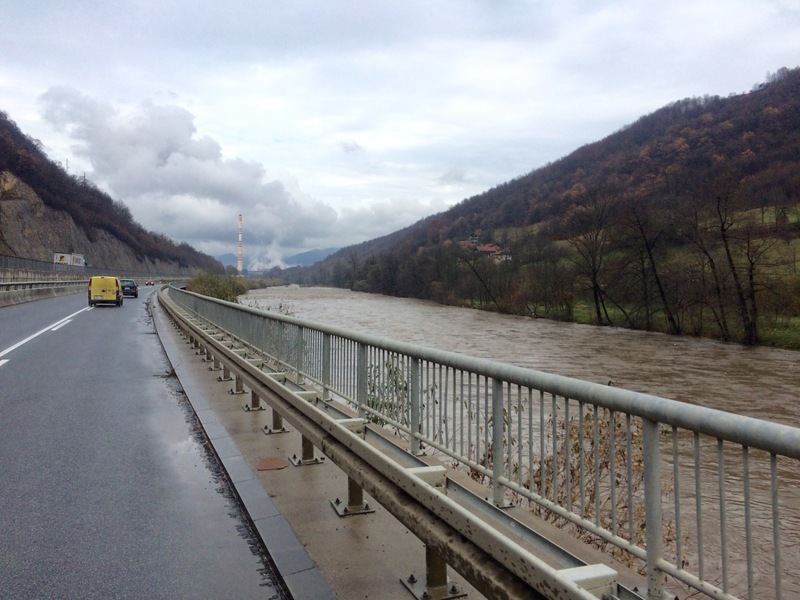 However since I had plans to head towards Budapest in Hungary to join the Danube cycle path, Zenica happens to be along the route. 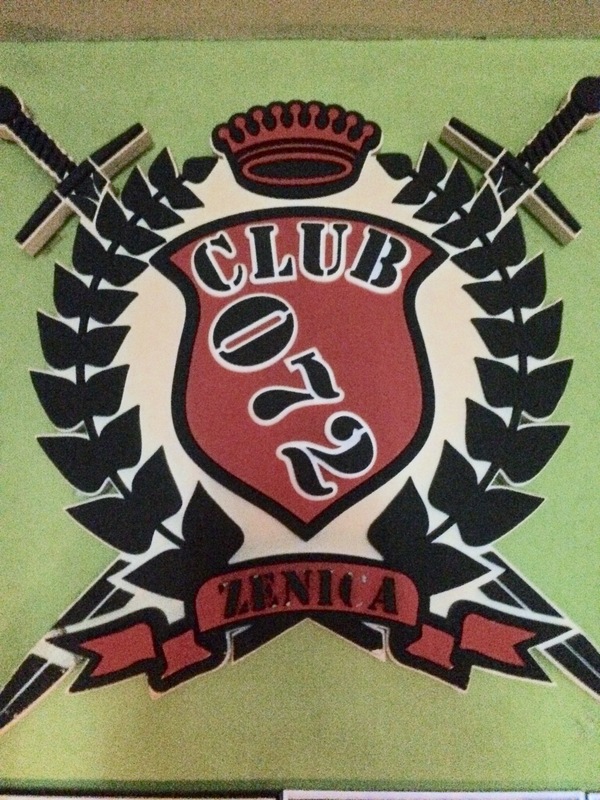 Also I have a host on Couchsurfing agreeing to host me in Zenica. It was a grey day the whole time I was riding. So not too many pretty pictures. 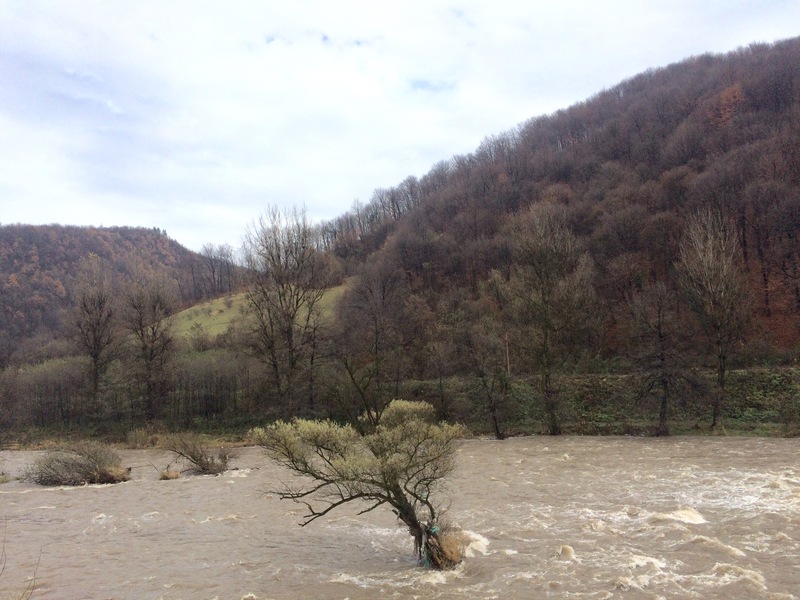 Also the route is mainly along the great Bosna River, which was flowing rapidly. The river was also muddy looking. 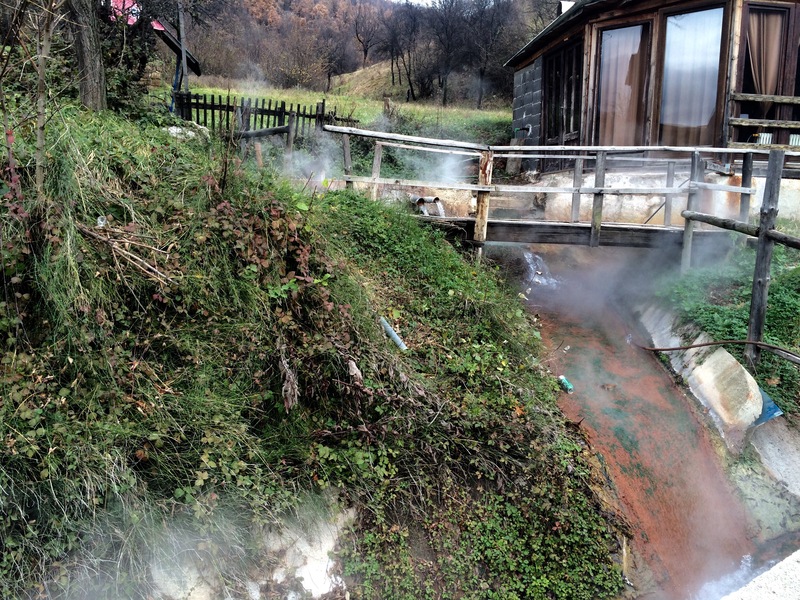 I did come across a hot spring right by the road side which was interesting. 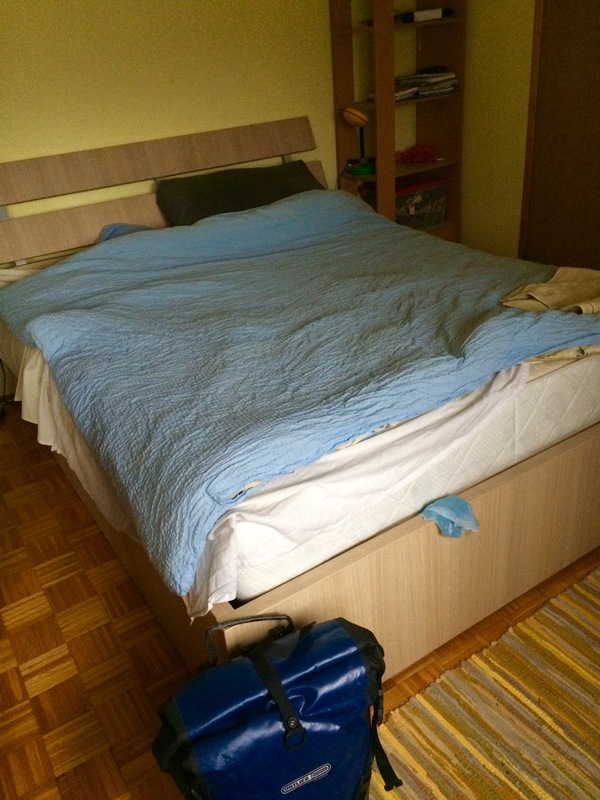 Upon arriving at Zenica, I started looking for my host’s apartment. My GPS brought me to the right area but there were so many blocks so I had a little trouble locating the host’s block which was 13B. I was at Block 7. After checking to no success in the pizzeria I bumped into someone in a bicycle and he said he would help me look for the block. He went around asking the locals there and finally got the location of the block. He then said he would bring me to the block. With his help I managed to get to the host apartment eventually. 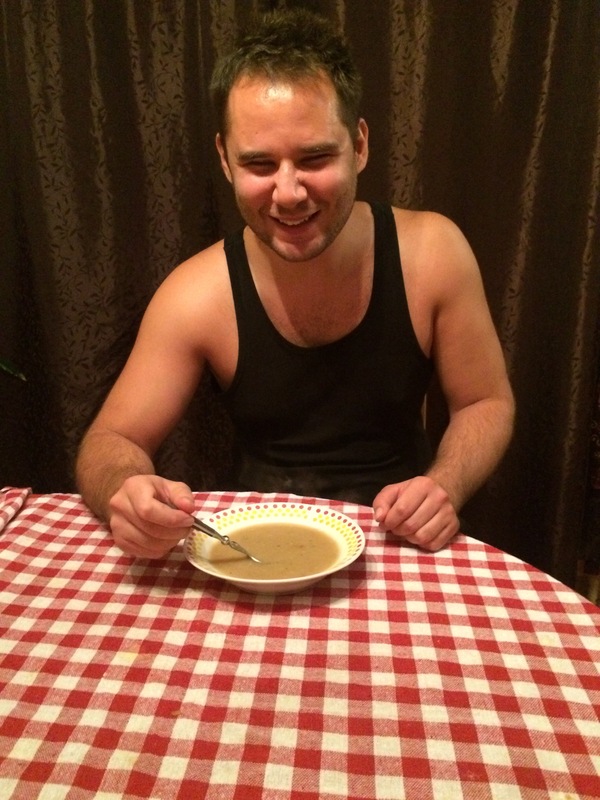 My host is a young Bosnian chap named Alen Tataravic working from home and mostly doing projects for the UN. He stays in the apartment with his brother who is away touring South East Asia. Interestingly his brother was in Malaysia 2 weeks ago. After settling in to my own room, I relax and did a bit of surfing while waiting for Alen who graciously offered to cook dinner. 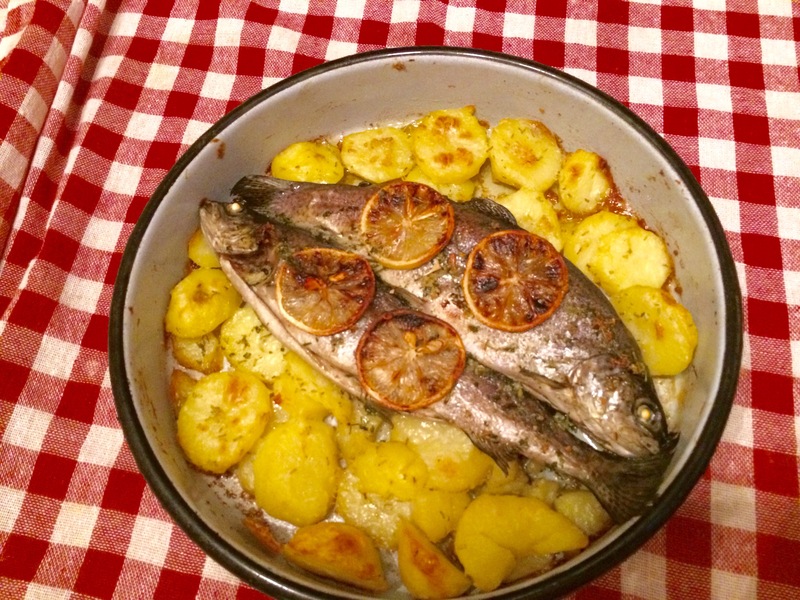 And it was a fantastic dinner of baked fresh caught river trout and potatoes. After dinner we had a couple rounds of beer and Rakiya before heading out to town. 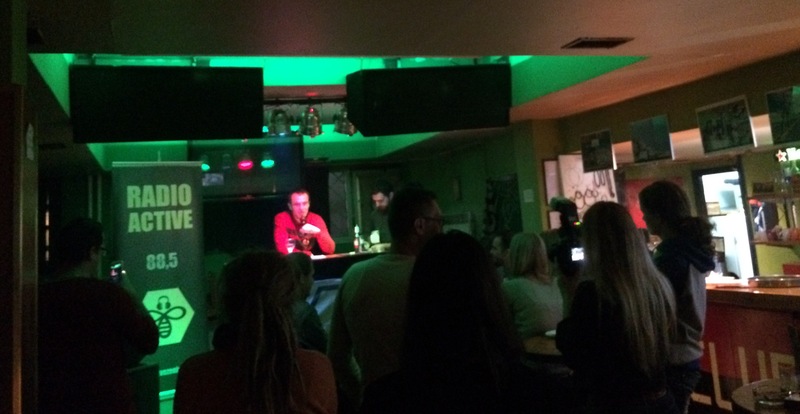 Alen and I went to a pub where his friend is launching a charity photo exhibition. There we met some of his friends. 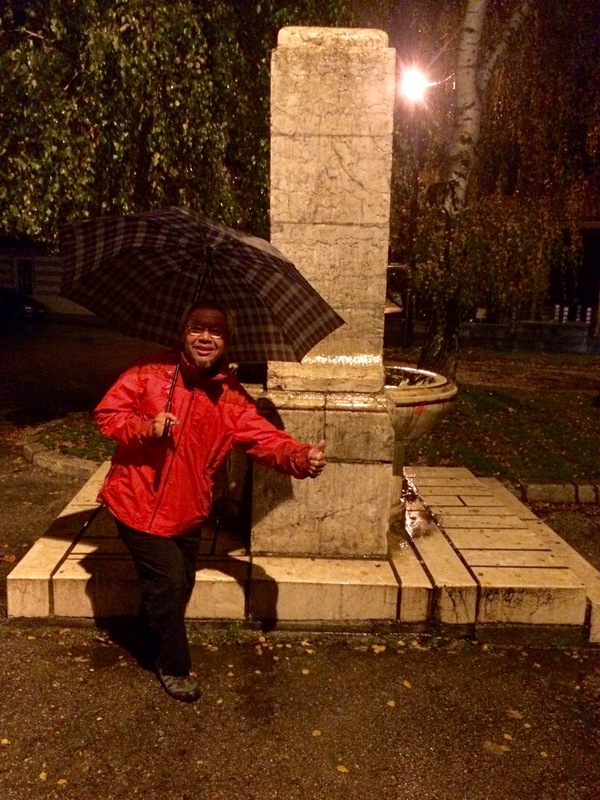 One of his friend called Ajlah who is a radio host at Radio Active Zenica 88.5. She asks if she could do a quick interview for her show next week. I said ok. So I could be heard on air next week in Zenica, Bosnia ! Stay tuned. After that we moved to another pub to try out the honey Rakiya which tasted quite ok. Anyway after that we headed back to Alen’s place to call it the night. Tomorrow I hope the weather is kind. 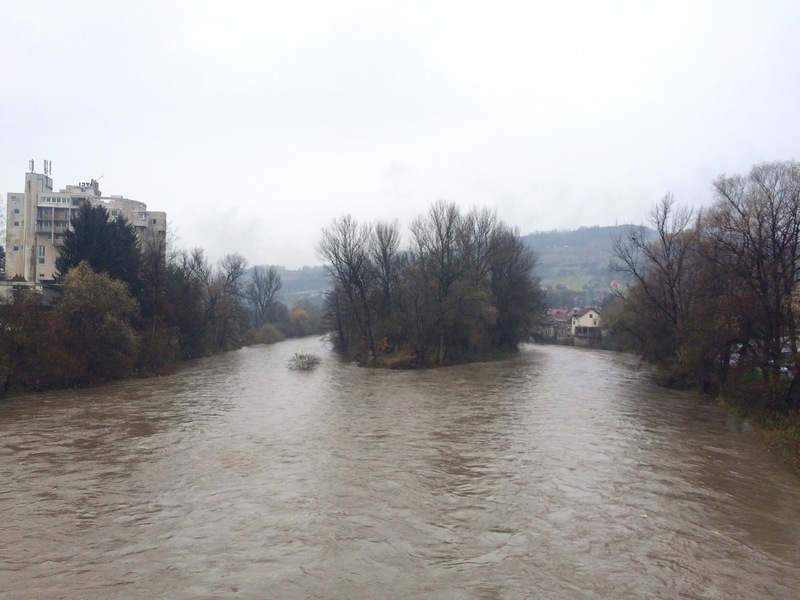 Criss crosing the Bosna whole day long. The whole area very industrial. 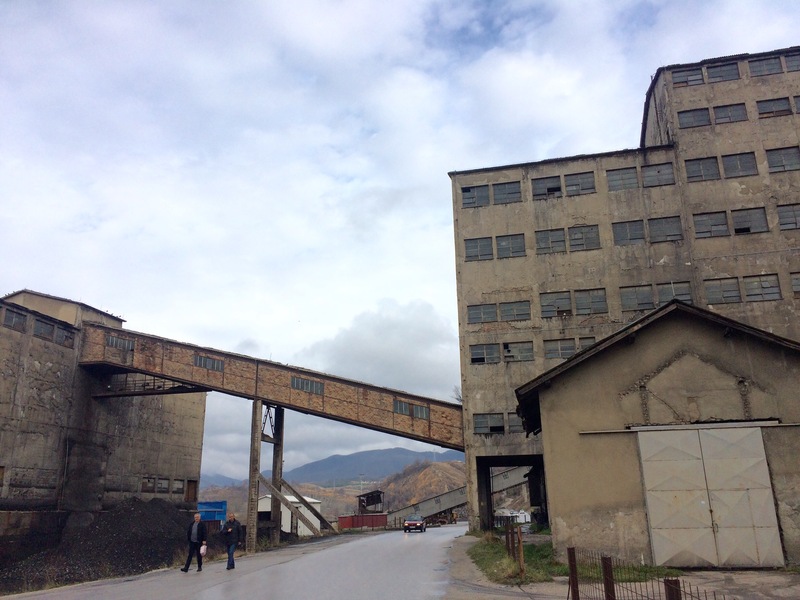 Zenica is a steel mill town. has one mill taken over by Mittal from India but only 25% capacity. 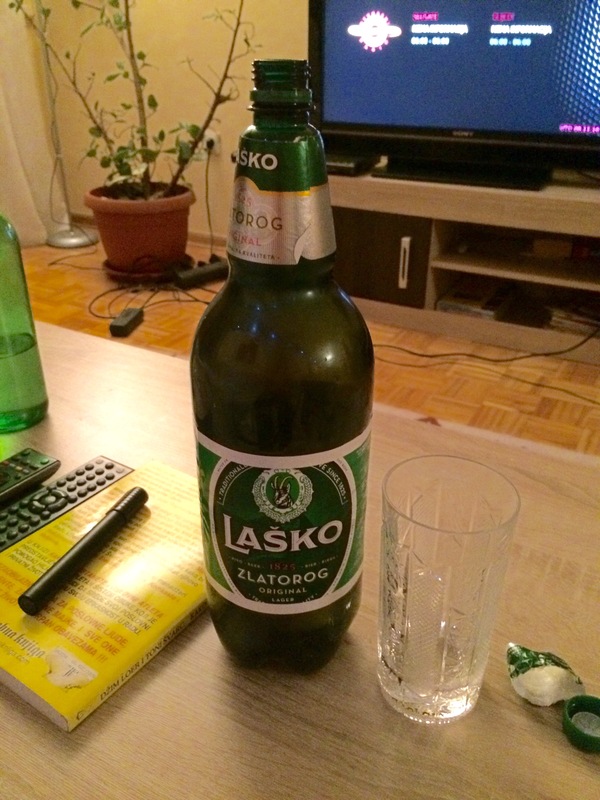 Huge family size beer in plastic bottle very popular in the Balkans. Radio host , Alen & me.